Çukurova Holding's boss Mehmet Emin Karamehmet has made a comeback after a lot of people wrote him off in the aftermath of the 2001 crisis. 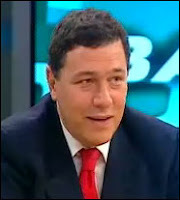 The proof – the $1.5 billion credit he has recently secured for Çukurova Holding from an international syndication. Karamehmet got the loan to pay his debts to his Russian partner Alfa Telecom Turkey Ltd and to get back the shares of his Turkcell Communications that he has used as a collateral. The $1.5 billion credit was put together by 20 different funds syndicated by JP Morgan. 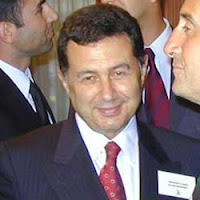 For collateral, Karamehmet used his own personal assets, and the assets of such non-public Çukurova companies like Genel Sigorta, Show TV and Digitürk. Çukurova boasts a total of 140 such companies under its corporate umbrella. When it got into trouble with the state regulatory agencies due to his debt to the Yapi Kredi Bank, Karamehmet sold 13% of Turkcell’s shares to Alfa back in 2005 after placing some shares in escrow, in return for a $1.7 billion credit. Alfa and many industry observers claimed back then that Karamehmet would not be able to pay back his debt, buy back the escrowed shares and try to expand his ownership of Turkcell. According to my sources inside Çukurova Holding, Karamehmet has paid back the $355 million first installment of his debt to Alfa during the first year of the loan. JP Morgan followed that payment by a notice to the Russians that their 6-year credit may be facing an "early payment". The Russians, who expected to end up with Turkcell shares rather than an early payment, did not like the news. Alfa responded by suing Karamehmet in British Virgin Islands, claiming that Karamehmet failed to make timely payments and thus they were entitled to the Turkcell shares as fair compensation. The court is yet to decide who is right and who should own the Turkcell shares. The recent interest of the foreign investors in Turkish companies and the rise in the estimated worth of such businesses have also benefited Çukurova on paper. That’s the source of Karamehmet’s renewed confidence in the future of his group of companies. Since there is a lot of money available out there in the global market, finding new credit by using higher asset values as a collateral has become an easier task for the captains of the Turkish industry. WASHINGTON - A senior International Monetary Fund official has said both the Turkish government and Central Bank should be congratulated for putting together a strong policy package which has facilitated the completion of the sixth review of the fund’s stand by agreement with Turkey. Masood Ahmed, the Director of External Relations Department of the IMF, said that Turkey’s economic performance in recent years had been impressive, a result that was due to sound policies and structural reforms and also to a broadly favourable external environment. “In particular, we think that the understanding reached on the measures to keep the fiscal program targets intact are a clear demonstration of the authorities’ resolve to persevere with good policies,” Ahmed said during a press conference in Washington late Thursday. However, Ahmed said that the goal was now to build on the success of recent years by maintaining fiscal and monetary discipline to reduce inflation and to broaden and deepen structural reforms to increase growth rates to the levels that are seen in the fastest growing emerging markets. Last week, the executive board of the IMF approved the findings of the sixth review of Turkey’s stand by agreement and sanctioned the release of a further $1.1 billion in funding. The new route will be treated as a domestic flight per agreement between Georgian and Turkish Governments to service the customers who live on the Eastern side of Black Sea such as Rize, Artvin and Hopa. A terminal in Hopa will be the starting point for the passengers from where they will ride buses to the Batumi Airport in Georgia, escorted by the customs officials. Then they will proceed to fly to Istanbul. All passengers on this flight from Batumi will be treated as international passengers and thus they have to use their passports for the journey. The flights will be available 3 times a week (Tuesday, Thursday and Saturday). Istanbul Airport operator TAV will officially open the Batumi Airport with the ministers from both governments on May 26. Good news from Turkish Ministry of Finance Kemal Unakitan – the 16% ad valorem tax charged in all Turkish tourist establishments will be pulled down to 8%, beginning 2008. Unakitan said the draft proposal prepared by his ministry will be finished tomorrow and submitted for the cabinet’s approval. This new development should be music to the ears of all tour operators and Turks who invested heavily in Turkey’s vacation and holiday resorts and hotels. Mehmet Kutman, a prominent Turkish businessman and the Global Investments Holding Chairman of the Board, warned against the high cost of a possible political instability. Kutman has won the tender to modernize Izmir’s port facilities for $1.27 billion. Speaking at a meeting in Hong Kong as the guest of Hutchison Holding, one of the largest port operators in the world, Kutman said he expected direct foreign investments in Turkey to reach $30 billion by the end of 2007. Kutman added that his group has invested $15 million for uranium explorations in Turkey. MMK (Magnitogorsk Iron&Steel Works) of Russia has agreed to invest $1.1 billion in İskenderun, Hatay, together with its Turkish partner Atakaş Group (Şirketler Grubu). The agreement for the joint investment was signed at a ceremony held at Iskenderun Yacht Club by Atakaş Group President Recep Atakaş and MMK Chairman of The Board of Directors Rashnikov Viktor Filippovich. The construction of the new steel plant will commence in September 2007 and be finished in September 2011. Turkey currently produces 8 million tons of flat steel. The new plant will produce an additional 2.6 million tons and will be used both domestically and exported as well. Turkish corporations are calling for improved regulations for cross-border pooling of cash and foreign currency risk. Murat Erden, head of the treasury of Turkey's telecommunication's giant Turkcell, said that the foreign currency risk of Turkish corporations is estimated at $70-80 billion. Foreign currency, however, is not well-defined or managed because there are not enough regulations for financial departments of corporations. “We are trying to collaborate with banks to pioneer in finding solutions,” Erden told the TDN at the EuroFinance's conference on Cash, Treasury and Risk Management in Turkey. Toreador Resources Corporation and its joint venture partners TPAO (the Turkish national oil company) and Stratic Energy Corporation today announced that first gas sales from the South Akcakoca Sub-Basin project have begun. Initial production is from three wells on the Akkaya platform, the Akkaya-1a, -2 and -3 at a rate of approximately 20 million cubic feet of gas per day (MMCFD). The production rate from the three wells will be adjusted as the remaining two platforms in the first phase of production are brought online over the next few months. When all three platforms are on full production, estimated to be early in the third quarter, the projected flow rate will be approximately 50 MMCFD to the 100% interest. Toreador has 36.75% interest in the project, TPAO has 51% interest, and Stratic has 12.25% interest. BRUSSELS (Reuters) - Belgian-French company Dexia, one of the world's largest municipal lenders, beat expectations with a 16.9 percent rise in first-quarter underlying profit, boosted by its acquisition of a Turkish bank. Dexia, which bought Turkey's DenizBank last year, on Wednesday posted underlying net profit of 617 million euros ($830.1 million), above the average forecast of 578 million from a Reuters poll of 16 analysts. Revenues for the group totaled 1.756 billion euros on an underlying basis, up 9.7 percent year-on-year and above the average forecast of 1.734 billion. The cost-income ratio in the first quarter stood at 51.9 percent, above the level of a year earlier, related to increased activity in its insurance services and U.S. securitisation units and staff increases. The cost of risk for the group, which has offices in Europe, the United States and Asia, was 23 million euros in the first quarter, compared to zero in the same period a year earlier but below the average forecast of 31 million euros. The public/project finance business, Dexia's largest business group by volume, reported an underlying net profit of 344 million euros, up 23.8 percent from a year earlier. Turkey has a strong property market with "highly professional" developers, the Federation of Overseas Property Developers, Agents and Consultants (FOPDAC) has said. Spokesperson Arlette Adler believes that Turkish developers are very scrupulous in their dealings. However, she warned that Turkish estate agents are less conscientious and meticulous, and she advised that UK investors use a British agency. "In our experience, if you're dealing with a Turkish developer, he will point out the restricted zones where you would be in danger of the law if you did build there," said Ms Adler. "The only people we do sometimes have problems with are agents who are a totally different breed to developers," she added. A spokesperson from the Turkish Industrial Development Bank recently said that economic development and stability are "pulling real estate investors into Turkey". The Ethiopian government would provide the necessary assistance to Turkish entrepreneurs who are willing to invest in the country, Minister of Trade and Industry Girma Birru said. He was in Istanbul, Turkey, at the head of a business delegation representing Ethiopia in the Second Turkey-Africa Foreign Trade Bridge Meeting held 15-18 May, 2007. 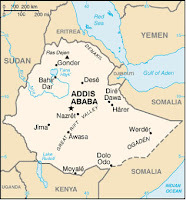 A Foreign Affairs Ministry press release quoted Girma as having expressed the government's readiness to provide the necessary assistances to Turkish investors willing to invest in Ethiopia especially in priority areas like textiles, leather and leather industries, agro processing, and floriculture sectors. The minister said the government has put into force a vibrant macro economic policy reform, designed industrial development strategy, and identified priority sectors to make the nation competitive in the global market. Ensuring sustainable development and reducing poverty is topmost in the agenda of most of the African countries. African countries should exert utmost efforts to create conducive climate to attract investors, capital flow, and knowledge transfer in a bid to boost production and productivity, the release quoted Girma as having said. Africa is still at the beginning stage in supplying finished products and items with added value to the global market. Most of African products are supplied to international market in the form of raw materials with little impact toward reducing poverty, Girma said. "It seems Professor Hilmi Volkan Demir of Bilkent University has something to be proud of. He and his research students were able to develop white light generated from using nanocrystal hybridization on a light emitting diode (LED), with tunable color properties. Apparently, this is the first time this has been done. An article highlighting this (no pun intended) was published in the Journal of Nanotechnology. According to an article in the TDN, international interest has started coming in. With Turkish universities and government funding being a guarded and bureaucratic source for innovation in Turkey, it is difficult to tell where this may be heading, but it does give hope that the steering of Turkey's young minds may be breaking free in the right direction. The acid test will be continued management and success of future proposals, and hopefully we will see further spinouts. Then maybe all the money being spent on Technoparks may start to payoff. Private schools and tutors are proliferating in major Turkish cities. They turn a good profit while providing much needed quality educational services from elementary through high school. Most of these private learning institutions cater to the upper-middle-class and wealthy families who want to make sure that their children learn the kind of skills to compete successful in the global market place and not provided by the overcrowded and understaffed public schools. NOTE: Turkish annual per capita income is about $5,000. Number of private school students increased by 27% from 208,882 in 2003 to 265,760 in 2006. In 2006, only 8.27% of those who graduated from Turkish public schools could make it through the central college entrance exam ÖSS. World Intellectual Property Organization (WIPO)'s 2006 figures reveal that, in terms of the number of patent application to register original brands, Turkey ranks 13th in the world. Overall, there has been a 12.2% increase in global applications in 2006, reaching 37,224. The first 10 countries that applied to patent their new brands include Germany, France, USA, Italy, Benelux Countries, Switzerland, UK, China, Spain, and Australia. ANKARA - IMF Executive Board approved the 6th review and letter of intent under stand-by arrangement of Turkey, and released the loan tranche worth of nearly $ 1.135 billion, stated Turkish Treasury Undersecretariat on Friday. Treasury Undersecretariat released the Letter of Intent. The letter states, "economic performance continues to be good. Growth remains close to the levels anticipated under the program, although it has softened from the pace of recent years following last year's financial market turbulence, which necessitated higher interest rates and reduced credit growth." ESKISEHIR/ KAYSERI/ KAHRAMANMARAS/ CORUM - African entrepreneurs, who arrived in Turkey to participate in the "Turkey-Africa Foreign Trade Bridge 2nd Meeting" organized by the Confederation of Turkish Businessmen and Industrialists (TUSKON), continue holding talks and seeking investment opportunities in several Anatolian provinces. After attending the 3-day meeting held in Istanbul last week, Togolese businessmen paid a visit to central Anatolian city of Eskisehir. The Togolese delegation which first held talks in the Organized Industrial Zone in the city, had a meeting with Eskisehir Mayor Yilmaz Buyukersen afterwards. Moreover, another delegation comprising of 52 businessmen from Morocco and Kenya held meetings in central Anatolian province of Kayseri. Hoping to cash in on a potentially lucrative contract to replace the Turkish Air Force's aging Cessna T-37 "Tweety Bird" trainers, Embraer will place special emphasis on its Super Tucano turboprop trainer aircraft during this week's International Defense Industry Fair (IDEF), in Ankara, Turkey. The Super Tucano is one of the contenders in the Turkish Basic Trainer Aircraft Program for replacing the T-37s. The Super Tucano is an evolution of the successful Tucano, which has some 650 units in service worldwide. Nearly 50 Super Tucanos are in service, today, in the Brazilian Air Force, and seven with the Colombian Air Force. Bursa-based Turkish auto maker Karsan, owned by İnan Kıraç, has reached an agreement to export 20,000 cabs to the USA and Canada per year, starting in 2009. According to the 10-year agreement, the company will gross $400 million. A Karsan official emphasized that this project will not only be the pride of Karsan but also the pride of Turkish automotive sector and the cabs made in Turkey will be on the road and added that these vehicles will make Turkish flag wave in the USA after Europe. 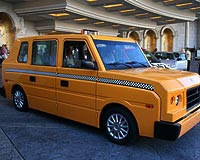 The official said: "Fred Drasner and Pat Corrigan, the US investors who had previously been taxi drivers and who have a great credibility with their achievements and entrepreneurship in various sectors have developed the first moving prototype of Standard Taxi in the USA by combining their power in one company. First they wanted to produce this cab in the USA or in Western Europe; but they set aside many US or European candidate producers and preferred Karsan as a partner." The Swedish state-owned Absolut vodka is sold in 130 countries around the world, with a total of 90 million liters consumed in 2006. Turkey holds the distinction of being the fastest growing Absolute market with an annual growth of 90%, 13 times the world average (7%), according to Absolute CEO Ketil Eriksen. “Turkey promises a very bright future for our product,” said an understandably optimistic Eriksen. Turks consume 10 million liters of vodka a year, spending about 150 million Euros. 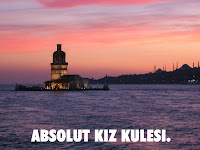 Of the imported alcoholic beverages in Turkey, Absolute enjoys a 65% share. 7% growth a year translates to 25,000 more bottles of Absolut a day. The company’s growth in the USA was only 5%. Thus, the incredible 90% annual growth in Turkey has been a surprise for most industry observers. Males constitute 60% of vodka drinkers both in Turkey and around the world. Female drinkers are known to prefer aromatic vodka brands. Vodka is generally consumed as a cocktail ingredient in Turkey. Its consumption is especially high in Istanbul which has a lively nightlife and club scene. Absolut markets 11 different kinds of vodka. The regular blue-bottle “Absolut Vodka” constitutes 80% of all sales. Among the aromatic vodkas, Absolut Citron is the bestseller. Turkish government has promises International Monetary Fund (IMF) that, by the end of this year, $5 billion worth of privatization will be completed. According to the “Letter of Intent” submitted for IMF’s Sixth Review report, Turkey has committed herself to a minimum of $4.7 billion (as of August 2007) and a maximum of $5 billion (end of December 2007) in privatization. Conference On "Offsets In Turkish Defense Procurements"
ANKARA - Executives of giant defense industry companies will get together in Ankara at a conference on "Offsets in Turkish Defense Procurements" to be held on May 24th. American companies Boeing, Raytheon, Skorsky, BAE Systems from United Arab Emirates, Italian Alenia and Augusta, French companies Eurocopter and Thales, Turkish Milsoft and Alp Aviation are some of the companies that would attend the conference. Turkish Defense Minister Vecdi Gonul is also expected to participate in the conference. The conference will discuss defense industry projects that were on the agenda of Turkish Undersecretariat for Defense Industry. The Turkish Cukurova Group, the country’s largest mobile operator has attracted a $1,5bln credit to pay off its debt to the Russian Altimo company ahead of schedule. The latter manages the telecom business of Alfa Group, RBC reported. The Turkish company’s statement says the credit agreement was signed on May 17th 2007. The credit coordinator is the JP Morgan company. Last month Cukurova Group announced it would pay off its debts to Altimo ahead of schedule. Altimo said earlier the Turkish company, which is Altimo’s partner in Turkcell, has repeatedly violated the contract. It also demanded that Cukurova should immediately pay off its $1,35bln debt to it. Altimo was created in 2005 from Alfa Telecom, which itself was established in 2004 to hold the telecoms investments of the Alfa Group Consortium. Those assets are in Russia , the CIS and other markets. The companies in which Altimo invested have a footprint which covers a total population of 334 million people and have over 150 million subscribers. Russian telecommunications market grew by over 50% in recent years. As Turkey's capital, Ankara, prepares to host thousands of visitors tomorrow to the four-day-long 8th International Defense Industry Fair, IDEF'07, Turkey's defense industry sector has also entered a major period of overhaul to turn itself into a technology-friendly sector with emphasis on strengthening local industry, which has long been neglected. This trend of emphasis on technology-friendly local industrialization started in May 2004, when the Undersecretariat of the Defense Industry (SSM) Executive Committee decided to cancel three major projects, including one involving multi-billion dollar attack helicopters, and instead introduced a new procurement model to boost the ailing local industry. An attempt at structuring the 2004 policy came when the SSM released its 2007-2011 Strategic Plan, which will serve as a road map for those involved in the sector. How South Africa’s Denel lost its Turkish Chopper bid? Denel Ltd lost out in its bid to sell 50 Rooivalk attack helicopters to Turkey because the company was forced by various factors to price itself out of contention, CEO Shaun Liebenberg said on Thursday. Denel passed all the technical and political hurdles and was shortlisted with Agusta and Eurocopter, beating the Americans in the process. However, the activities in Turkey around the bid process extended seven or eight months past the deadline date. The bid then eventually expired and Denel was asked to rebid. "We had also been advised, at that point in time, by a particular supplier of ours, that we would not be able to on-sell the industrialised product out of Turkey into other markets. "Our initial intent was to use the Turkish bid to win that market and springboard into other markets, such as Pakistan, Malaysia, Libya, Brazil, etc," Liebenberg said. As Denel was not able to on-sell the industrialised products, it had to change its pricing strategy to get a better financial return out of the Turkish market, other than getting a return from the springboarded markets. Sabah -- The Turkish Social Security Administration (SSK) has prepared a draft proposal restructuring the retirement system, following the annulment of the previous one by the Constitutional Court. Social Security Administration has issued a white paper describing how the delayed reform casts a shadow over the future of the country. According to the SSK data, 1.5 million "retired" Turks continue working off the books although males officialy retire at 47 and females at 44. If the status quo continues, the existing retirement system will need funds amounting to 4.73% of the gross national product every year, according to the projections. Carry trade is the practice of borrowing money at a low interest rate and then investing it in a higher interest currency. For example, let’s assume that you have borrowed 1,000 Yen from a Japanese bank; converted it into American dollars; and then purchased American T-bills with it. Let’s say that American T-bills pay 4.5% interest whereas Japanese T-bills pay 0% (or close to that). So your profit would be 4.5%. If you can leverage each dollar you invest in this manner by borrowing $10, your profit will go up to 45%. This is called “Yen Carry Trade.” It is estimated that, as of early 2007, there have been $1 Trillion worth of carry trade transactions all over the world. In Turkey, 3-month T-bill interest stands at a mouth-watering 19.09% (yes, nineteen per cent). That’s why the amount of “hot money” rushing in to gobble up Turkish T-bills has reached the proportions of a tsunami. That’s the same reason why 70% of the publicly-traded Turkish stocks are owned by foreigners. 34% of the total Treasury debt is owed to foreigners. Foreign capital also holds 70% of the 5-year T-bills. According to Metin Munir of Milliyet, Turkey owes its 22 consecutive quarters of growth since 2002 to carry trading. That’s why the inflation rate and the value of Lira is of such paramount concern for the health of Turkish economy since at the slightest tremor, all that foreign capital can leave Turkey as fast as it poured in. It is a risk that the Turkish economy is still facing as it gets ready for a widely-debate new general election to be held on July 22. Monopolization -- The top 5 Turkish insurance companies that sell non-life coverage hold 50% of the domestic market. The market share of the top 7 insurance firms add up to 65.2%. In life insurance, the top 5 companies control 64.2% of the market. Most of the insurance companies are owned by banks. Non-Life Coverage -- Premiums paid for non-life insurance coverage amount to 1.4% of national income. Annual non-life insurance premium paid per capita is $70, in contrast to $525 in Portugal, and $120 in Poland. In developed countries the non-life premiums increase by 3-5% a year but only by 1.3% in Turkey. Life Insurance -- Total premiums Turks pay for life insurance add up to $1 billion a year. On the average, Turks pay only $12 premium a year for life insurance in contrast to $770 in Portugal and $200 in Greece. Within 4 years, Turkish premiums are expected to rise by 60%. Total life insurance premiums collected represent only 0.3% of the national income. That amount is expected to rise to 1% in 2010 when per capital income is also expected to reach $8,000. Foreign Ownership – Foreign capital owns a significant segment of the Turkish insurance sector. Here are the top 13 Turkish insurance firms, with their (1) percentage of domestic Market Share, followed by the (2) percentage of Foreign Ownership. With more people from around the world flocking to Turkey, Turkish Airlines has announced that it wants to increase growth in some sectors by 30 per cent. Speaking in an interview with Express Travel World, Pramod Sahni, the airline's sales and marketing manager in India, said that he wished to see this growth come from the subcontinent. As more people from around the world invest in property in Turkey, Mr Sahni stated that he expects this to be reflected in increased flights from India: "We want to increase the frequencies and talks are on between the civil aviation ministries of the two countries. Currently, we are doing over 80 per cent load factor. "We have seven flights [four to Delhi and three to Bombay]. If we want to operate a bigger aircraft, we need a bilateral approval which is likely to come through in about a month's time." Turkish Airlines already enjoys an 87 per cent market share of flights between the two countries and such is the growing demand that it is likely to put Indian crew on its flights. With Turkey set to increase its advertising in India, it is likely to increase the number of visitors, such that it has also asked for an increase in the 1,500-seat limit for Bombay and Delhi flights. "We are going to business houses, doing campaigns in media [and] tapping Bollywood," added Mr Sahni. Officials from the Democratic Republic of the Congo attending the "Turkey-Africa Foreign Trade Bridge Program" summit in Istanbul, announced Wednesday that they have put the diamond fields of the country up for sale and that they are hoping to attract Turkish buyers and partners. "The diamond industry is a very delicate issue," they said. "We trust Turkey. We are looking for dependable partners for our diamond fields. That's why we are in Turkey," they added. The three-day summit, organized in Istanbul by the Confederation of Businessmen and Industrialists of Turkey (TUKSON), ends today. Prices for a diamond field in the Democratic Republic of the Congo begin at $500,000, reported Anatolia news agency. The country is among the top five diamond producers in the world whose products are usable in jewelry, according to Astrid Buka Ponzo, a Democratic Republic of the Congo official. During the ‘80s, the Turkish leaders were confident Turkey had so much water that it could be used as a “strategic asset” just like oil. But what millions of Turks are facing this summer suggests something else. Ankara and the major cities of Western Turkey are facing the possibility of a serious drought this summer and power cuts related to lack of enough water to run the hydroelectric power plants at optimal capacity. Ankara, Konya, Bursa, Antalya and especially Istanbul are among the cities facing a hot, dry and possibly darker-than-usual summer. Power shortages will be exacerbated when millions of Turks switch on their air conditioners to fight off the summer heat in the days ahead. Lack of water is expected to lower this year’s wheat yields by 10%. Due to lack of adequate irrigation of orchards, price hikes are expected in fruit and vegetable prices. 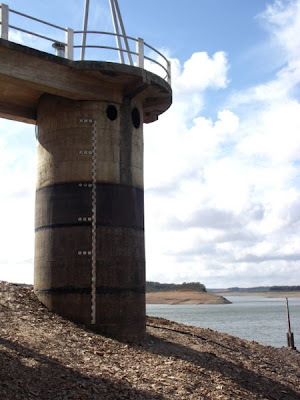 Irrigation dams are filled at 51.2% capacity, as of May. There is a 5% drop in water volume since they were 54% full in May 2006. Hydroelectric dams are also 51.2% full. However, they were 65% full a year, representing a drop of 15% over 12 months. Ankara is the worst of all major Turkish cities – dams that provide Ankara’s drinking water are only 9.7% full! Last year they stood at 28.9%. Bursa’s main drinking water outlet Doğancı Barajı is 58.3% full, compared to 89.2% last year. That might represent a problem for Bursa’s produce industry which relies on dependable irrigation of hothouses. Dams that provide Istanbul’s drinking water are 47% full. Last year, they were 94.7% full. That’s why the situation seems especially critical in Istanbul which has 6 months reserve of drinking water. Currently Istanbul’s dams have a total of 416 million cubic meters of drinking water and the city consumes 2 million cubic meters of waters a day. According to a survey conducted by Istanbul Waterworks Agency (İSKİ), 16% of Istanbuleans leave the tap running while brushing their teeth while 16% do the same while they shave. 36.2% wash their cars with a garden hose connected to running water. According to İSKİ, a water tap that drips one drop of water per second wastes 6 tons of water a year. Do not wash your carpets with water. Wash it with a carpet cleaning machine or wipe them off. Do not wash your cars with running water. Instead use a bucket of water and a sponge. Sub-provinces should refrain from cleaning the streets with water. City parks and gardens should be watered not during the day when evaporation is at a maximum, but after sunset. Do not let the water run while you take a bath, shave, brush your teeth, or during the ritual cleaning (abdest) before worshipping. 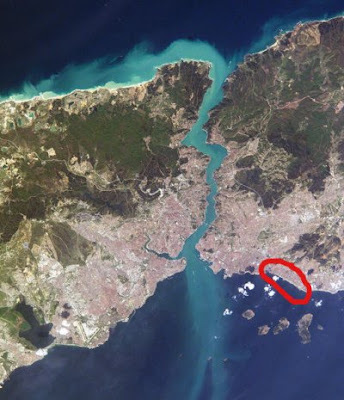 A new $5.5 billion commerce and residential development project along Istanbul’s Kartal-Pendik coastal strip (on the Asian side) will house 100 new manufacturing plants, create much needed jobs for 250,000 and house a total of 2.5 million residents. The new development complex sprawling over a 550 hectare area will be home to a number of new skyscrapers and move the traffic and business congestion away both from Istanbul’s European coast and Kadikoy. Dr. Süha Özkan of Pro-Ge, who coordinates the project, said thanks to this development complex there would not be a need to build a fourth or fifth bridge across the Bosphorus. The architect of the project is Zaha Hadid of Iraq whose work has won the prestigious Pritzker Award. The project is a expected to be finished within one year. Eczacibasi Holding will have the largest site in the project with 26 hectares. The project master plan also foresees a marina to house1,000 yachts. ANKARA (Thomson Financial) - Turkey's estimated unemployment rate fell to 11.4 percent in the three months to the end of March from 11.9 percent in the same period last year, the State Statistics Institute said Monday. A survey based on interviews of about 90,000 people showed the number of jobless to have fallen 36,000 to 2.76 mln. The unemployment rate was estimated at 9.9 percent for the whole of 2006, down from 10.3 percent in 2005. High unemployment remains a major challenge for Turkey despite several years of strong growth. (PRLEAP.COM) Super Holiday Rentals, worldwide live online holiday booking engine, has just announced the addition of a stunning new Turkish property to its catalogue of holiday rentals and holiday apartments. The Villa Dalyance property represents the latest holiday villa to be added to the already extensive Super Holiday Rentals villas portfolio. This latest addition is ideally located for most holiday makers, positioned in the countryside close to the village of Dalyan in Turkey’s Mugla Province. The villa is a large, newly developed property which is fully furnished and equipped with four bedrooms (and one sofa bed), an outdoor swimming pool and a lush landscaped garden for its guests to enjoy. In recent years the global market has become segmented. Products are found in open markets, supermarkets and smaller grocery stores. “The same applies in Turkey”, says Avi Shamir, Zeraim Gedera Vegetable Specialist in Turkey. 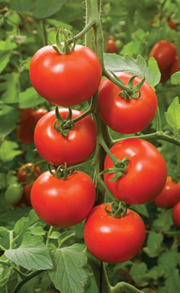 “As far as tomatoes are concerned, the demand in the Turkish market is huge. Tomatoes are consumed at every meal and in almost every dish: in salads, which are made mainly of tomatoes, meat dishes, with fish and cheese. One can almost say that tomatoes are a national dish in Turkey. To understand this one need only go to a local supermarket, for example Migros, to find that 120 tons of tomatoes are consumed there per day”. Q: Does that include the entire range of tomato varieties? “No, in Turkey, tomato consumption consists mainly of regular large tomatoes”. Q: What about Cherry Tomatoes in Turkey? “I do not anticipate great changes in Turkish eating habits. I predict that cherry tomatoes will be sold on a very small scale to specific markets in the country, for instance, in the city of Mersin, where cherry tomatoes are used in a lamb liver dish.” Mr. Shamir adds that, “mainly tourists and diplomats living in Turkey consume such tomatoes”. Q: What is Zeraim Gedera’s position as far as marketing is concerned? “After living in Turkey for so many years, I can tell you that Zeraim Gedera has managed to develop very strong ties with local markets. For instance, ‘Harmony’, one of our very attractive and tasty varieties , will be sold in Migros supermarkets all around Turkey.